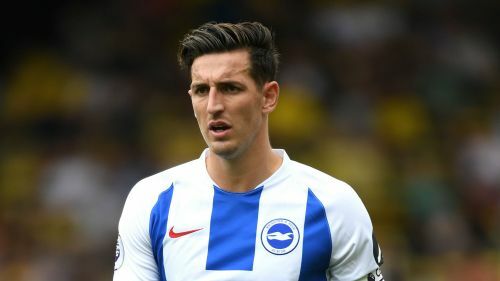 Brighton and Hove Albion defender Lewis Dunk has been called up to the England squad for the first time. The centre-back has been added to Gareth Southgate's squad for trips to Croatia and Spain in the Nations League. Dunk, who signed a new contract with the Seagulls this week, takes the place of James Tarkowski in the 25-man group. Burnley defender Tarkowski withdrew due to injury, with Brighton boss Chris Hughton happy Southgate opted for Dunk. "We are absolutely thrilled for Lewis, he fully deserves this call up," Hughton said to Brighton's website. "He has shown his quality in the Premier League and his progression has been a steady and consistent one. Dunk is the first Albion player to be called up for England since Ron Greenwood's squad for the 1982 World Cup in Spain included Steve Foster.